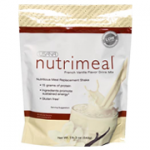 We’ve tried all kinds of meal replacement shakes, but unfortunately Nutrimeal from USANA is not one of our favorites on the market. While it tastes pretty good, offering a pleasant and creamy vanilla flavor, the quality of the ingredients leaves much to be desired. 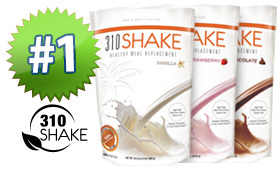 USANA takes a whopping 3 scoops or 60grams of powder just to get a 15 protein profile while others like our top 3 achieve a much higher protein profile using half the powder; a testament to their quality. 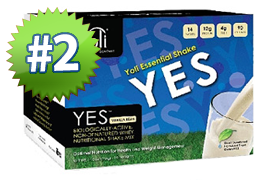 The first ingredient listed on the label is soy protein isolate. Sure, soy products can taste great, but so many recent studies have shown it may lead to health problems. This has encouraged us to stay clear of the stuff and look toward other options for getting protein. Next on the label is fructose, an artificial sweetener…followed by more artificial ingredients and more soy (maltodextrin, soy fiber and oligofructose). In terms of blocking hunger, Nutrimeal contains 8 grams of fiber, which kept us full for a little while but then had us reaching for the snack cupboard in about an hour. One might think these lower quality ingredients would make this shake a little less expensive, but Nutrimeal is actually one of the pricer options out there. 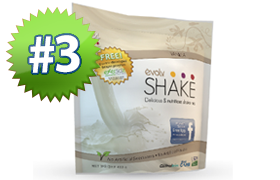 A pack comes with 9 servings at $3.36 per shake. You need to look at all the facts, not just one product. 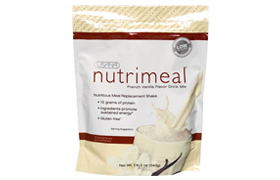 USANA makes several nutrimeal products, not all have Soy. Also look at the source of the Soy when comparing. Typical test, narrow focus with an aim at promoting a specific product.